We are each a combination of nature and nurture, but it does seems as though how we look and feel as we get older is a lot more dependent on “nature” — on the genes we inherited that keep our bones strong, our brains sharp, and our skin not too badly wrinkled. How we take care of ourselves, of course, can make a difference. How we view ourselves or want others to view us also can make a difference. A link in a comment left on Ronni Bennett’s post on The Appearance of Age got me thinking about how I have chosen to appear as I age. 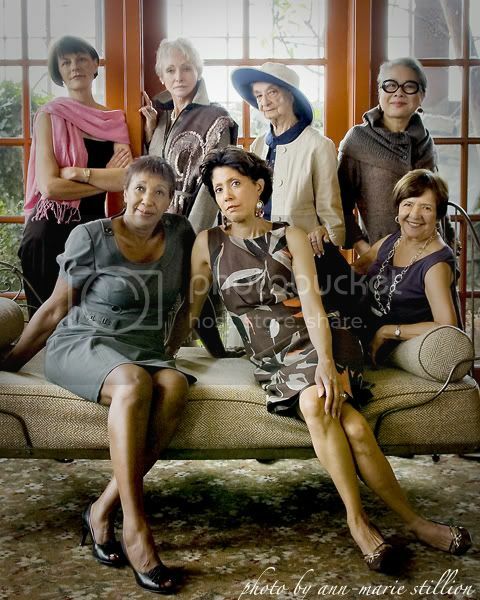 The link takes you to this photo of a group of women over 50 who aspire to be models. They all have enhanced their natural looks to give themselves a uniquely attractive aesthetic. My way of dealing with my aging face and body is to make a similar (although not as successful) effort. I still love clothes and shoes, I still get my hair cut by a professional, and I still wear makeup and style my hair if I’m going to be out in public. The way I look has always been important to me, and apparently I’m not changing in that way even as I approach the age of 70. Ronni, on the other hand, has taken a more relaxed and less expensive approach. Her identity and self-image require less vanity than mine, and I envy her for that. A cousin of mine sent me a link to the video, below, which gives a hearty glimpse of 88 year old Hazel McCallion, mayor of Mississauga, Ontario (a city without debt) for the past 31 years. Watching this video sure made me wish that I had had the brains and heart and courage to age as she has. “Hurricane Hazel,” as she is affectionately known, still gets on the ice and pushes a hockey puck around. In the video, she gets to fulfill one of her dreams — to make a music video. Now, that’s aging with style. This entry was posted in aging, dreams, economy, health, photography, politics, vanity by Elaine. Bookmark the permalink. Great post. I am dealing with aging by dancing around my kitchen and living room. It improves my mood and body. I loved the video of Hurricane Hazel.